Reason for inclusion: I wanted to continue to watch more Studio Ghibli films, and this seemed to be the most highly-regarded out of those I hadn’t seen. My Neighbor Totoro is as simple as it gets, but it is infinitely rewarding. Originally released on the same bill as Grave of the Fireflies (still the greatest animated film I have ever seen), Totoro remains one of Hayao Miyazaki’s crowning achievements, a children’s film that can be passed down from generation to generation. Set in 1958 Japan, the film tells the story of a university professor and his two daughters, Satsuki and Mei, who move across the country to be closer to the hospital where their mother, Yasuko, is recovering from a serious illness. Their new residence is an old house that the girls immediately believe is haunted. Rather than allow themselves to be scared — “they’re just dust bunnies” — the sisters embrace the spirits and settle in as best as they can. While the older sister, Satsuki, is off at school, Mei notices a small, white rabbit-like creature playing outside. She chases after it, eventually reaching a well-hidden area inside the forest. Inside, she finds an even bigger creature, a very large “totoro” who is in such a deep sleep he doesn’t even notice the little girl. She instantly becomes attached to this creature, dubbing him Totoro, and begins seeing him on their property from time to time. 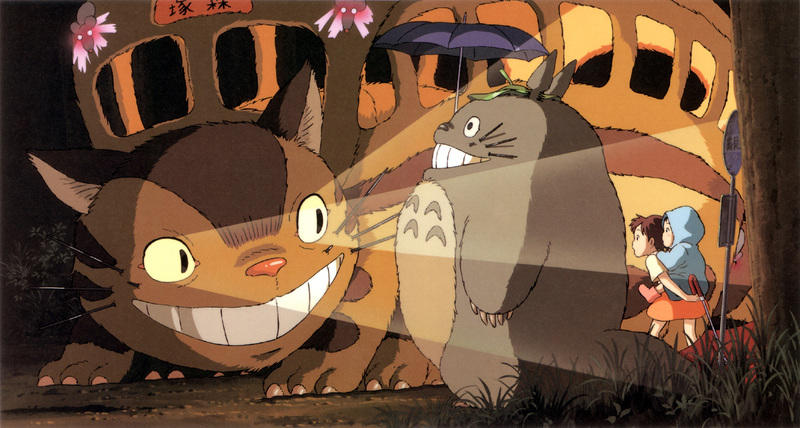 Even though Totoro only speaks in loud roars, he becomes a much-needed friend for Mei, and it isn’t long before Satsuki starts seeing him as well. When the girls tell their father about these mythical creatures, he smiles and doesn’t act for one second that he doesn’t believe them. As such, it’s refreshing to see an adult in an animated film not dismiss a child for these whimsical thoughts. It’s difficult to put into words what makes My Neighbor Totoro so great. The wild imaginations of children are expertly captured, and I can’t think of a better film that nails the general sensibilities of youth. The bond between the little girls and Totoro is heartwarming, especially as they are essentially using this creature as their way of coping with their sick mother. “Adult” issues are brought up and handled with care, and there is not even the slightest notion of condescension. The sisters are believable, lifelike characters, and their jubilant behavior while exploring their new house is fun to watch. Totoro and his many smaller relatives are wonderful creatures, and it’s easy to see how they have remained popular worldwide over the years. There is also an incredibly unique “cat bus” that transports Totoro around the forest, one of the coolest looking modes of transportation I have ever seen. 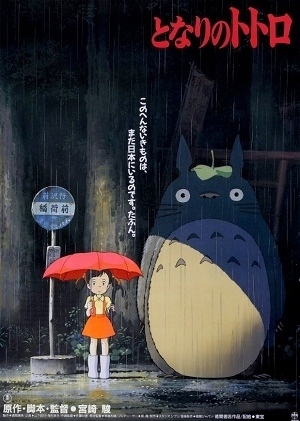 In a nutshell, My Neighbor Totoro is a beautifully-animated film that has a little something for everyone. It made me feel like a kid again, which is rare in itself. An absolute must see, even for those who generally sway away from animated films. Poll Results: What grade would you give Seth MacFarlane’s performance as Oscar host this year? I’m glad you enjoyed it so much, I feel everyone should watch this film – It’s just so joyful! Thank you! I agree with you 100% — this is a must see for everyone. One of my personal favourites from Studio Ghibli. Like you said, it’s such a simple story. But SO well told. It has been such a long time since I last saw it though. Need to dig it out again. I love that nearly everyone I know who has seen it has loved the film. There really is something for everyone in this. So good. requests have been pouring in. LOL! I had no doubt it would be great though, and you pretty much confirmed that! If no one recommends it, I’ll be checking it out myself, theyre great! Awesome! That’s what I like to hear. I’ve only seen Spirited Away by Miyazaki, I’d have to give this a watch at some point. 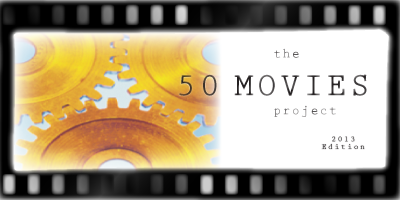 As for ur new poll, well I’ve only seen Dr. Strangelove from your list a while ago. I quite enjoyed that one. Ruth, I have a feeling you would LOVE this film. I really hope you do check it out soon. Great review. 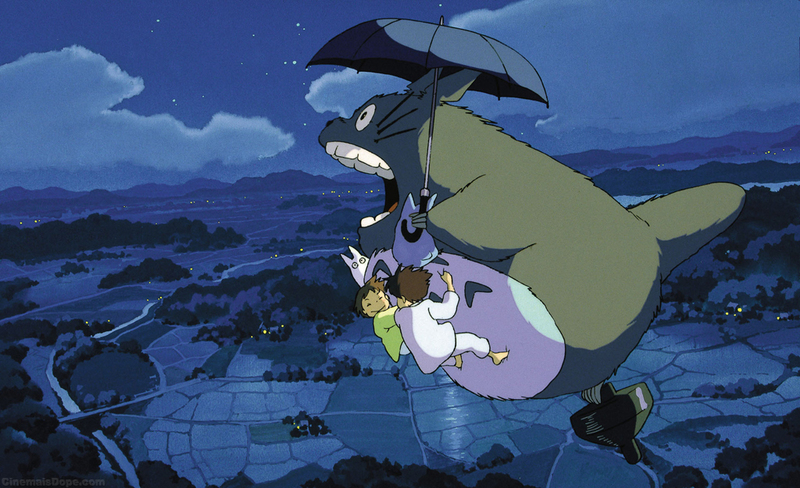 The scene with Totoro and the umbrella makes me smile every time. Another great Studio Ghibli movie you should watch is Kiki’s Delivery Service. It has such a lovely and inspirational message to it. I actually watched Kiki’s Delivery Service the very next day. Your review was what inspired me to do so. 😀 Really enjoyed that one as well! Really!? That’s such a lovely thing to say, thank you. I’m glad my reviews have that kind of power over people! Thanks! That is such a great scene. I love the Ghibli films. The only thing with Totoro is I cannot watch it in the English track on the Disney version. “Grave of the Fireflies” and “Porco Rosso” are ones I will throw into the suggestion jar. Grave of the Fireflies is one of the best films I have ever seen, animated or otherwise. I watched Porco Rosso immediately after this, actually, and really enjoyed it, too. Haven’t seen a bad film from Studio Ghibli yet (well, aside from Tales from Earthsea…). I blame “Tales from Earthsea” on Goro Miyazaki. The animation for the film was beautiful, but the story had nothing to do with the story from the book. Even the author felt a bit uncomfortable with the movie, unlike “Howl’s Moving Castle” where the author loved it. Hayao even said he should’ve handled “Earthsea”. 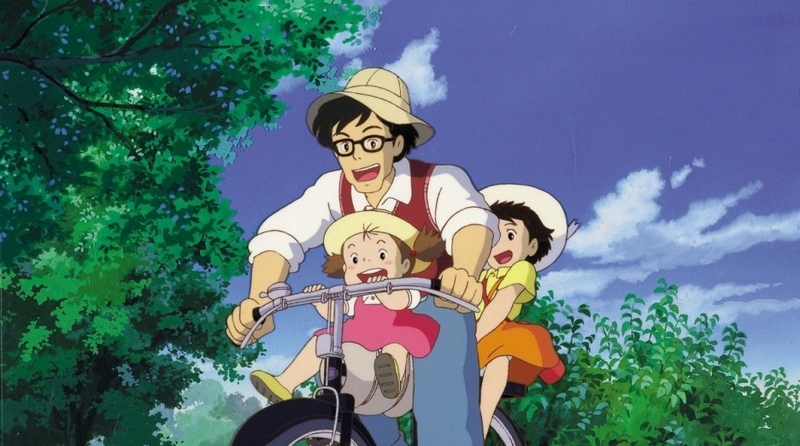 I cannot wait for “Up On Poppy Hill”, and I wish they would release “Only Yesterday” here in the States. Great review. This is such a wonderful film, as most of Miyazaki’s are. Thanks! Definitely one of my favorites from Miyazaki now. One of my favorite Ghibli movies, happy to read you enjoyed it so much as well! It’s a great one indeed. Probably my second favorite now behind Grave of the Fireflies.